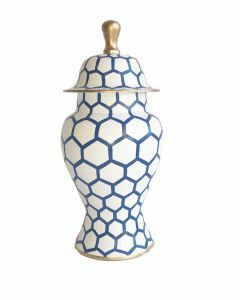 This ginger jar has a fun pink honeycomb pattern in hand painted tole. 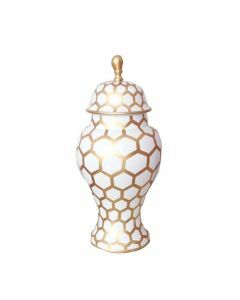 The jar measures 12‚ÄùH and has a removable lid. Click on image for greater detail.